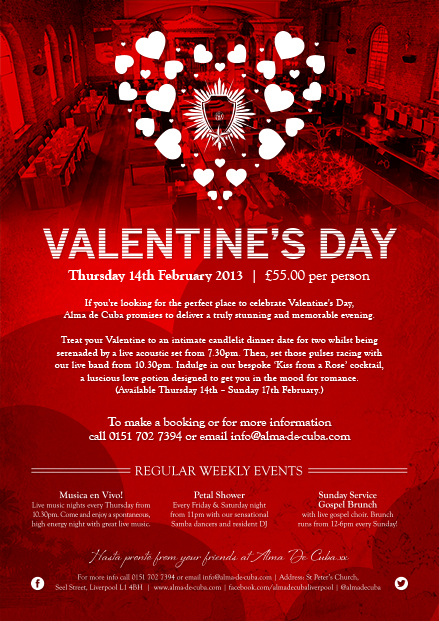 Jack, our head of design here at Igoo, has been creating some Valentine’s Day promotional material for local restaurant, Alma De Cuba. Located on the former site of St Peter’s Church, the venue has an evening of luxury planned with an exclusive menu, live music and bespoke cocktails on offer. The full Valentine’s Day menu can be found here.